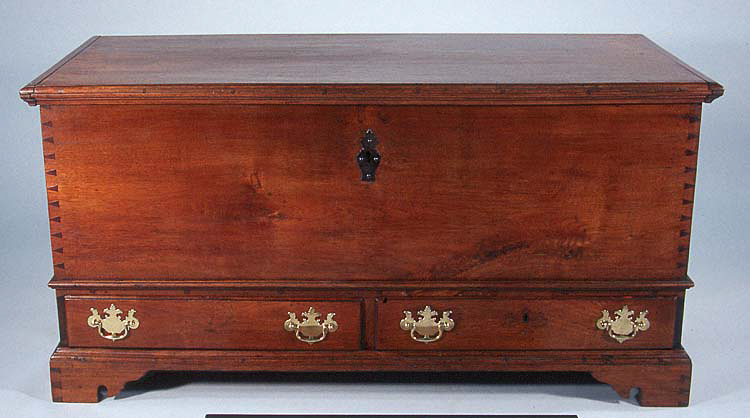 This walnut, eighteenth century, Pennsylvania chest sustained finish damage as a result of a fire. Exposure to heat and water caused the finish to severely bloom. Treatment with solvents and resin soap was followed by a coat of shellac to even and unify the surface. Brasses were selectively polished. All surfaces were waxed.